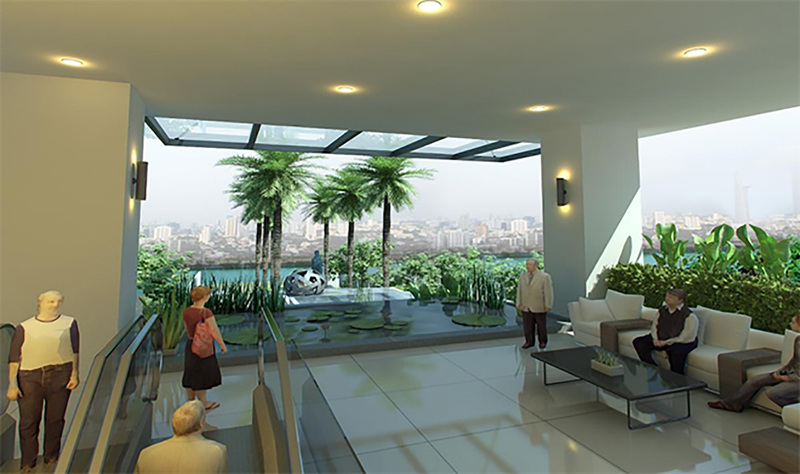 Winning entry to an invited competition. 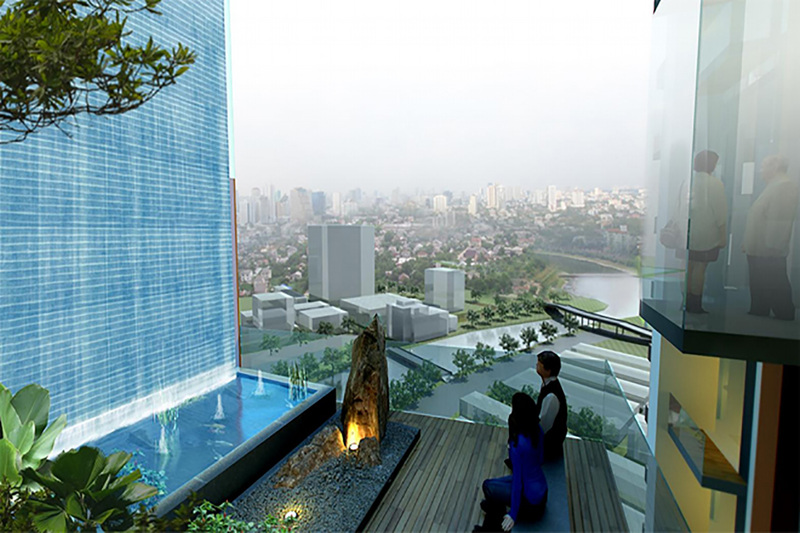 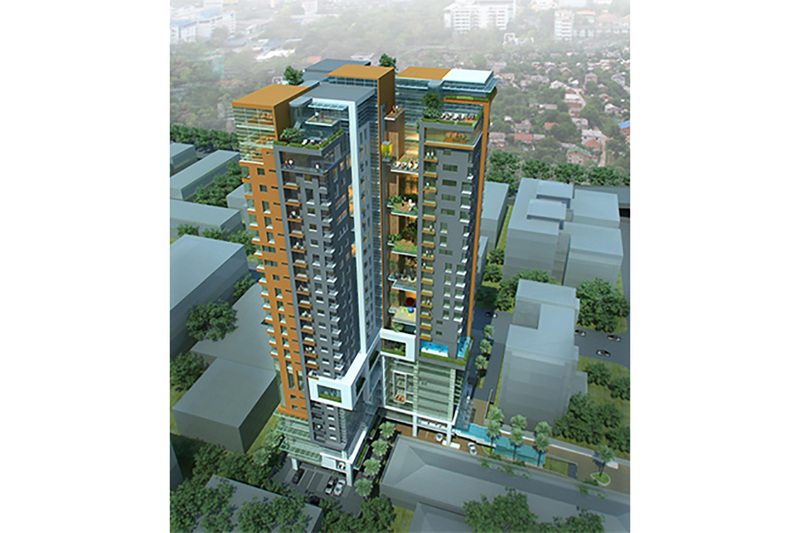 A 27-storey residential tower located in Ho Chi Minh City. 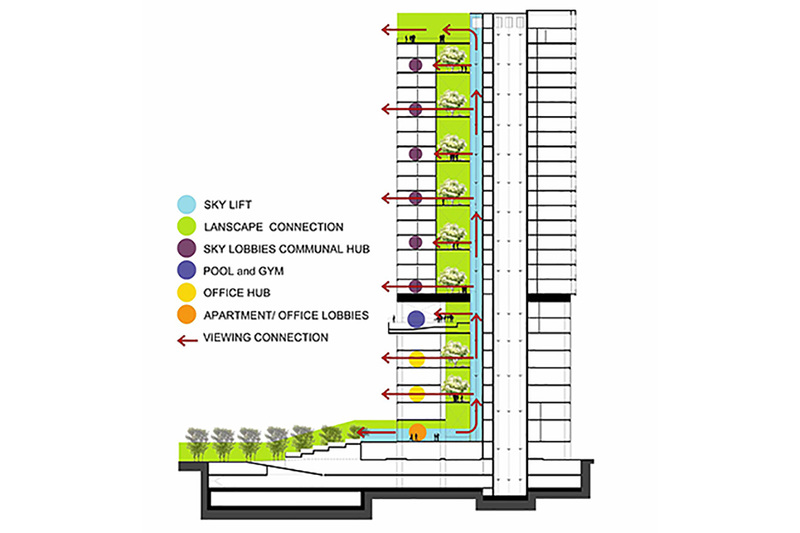 A series of triple height sky gardens forming a vertical landscape connection up the tower whilst retaining an efficient typical floor plate.